BOISE — Bogus Basin held their 4th annual pond skim and a slew of other events to celebrate the end to an epic winter up on the mountain. Bogus Basin will close for the year after Sunday, but what a year it was with the addition snow making machines, a historic February where it snowed almost everyday plus Bogus Basin also saw more than 300,000 people visit the mountain, the most in the history of the ski resort. So it was no surprise that the mountain was packed to watch adrenaline junkies attempt to ski or snowboard across a pond filled with freezing cold water. 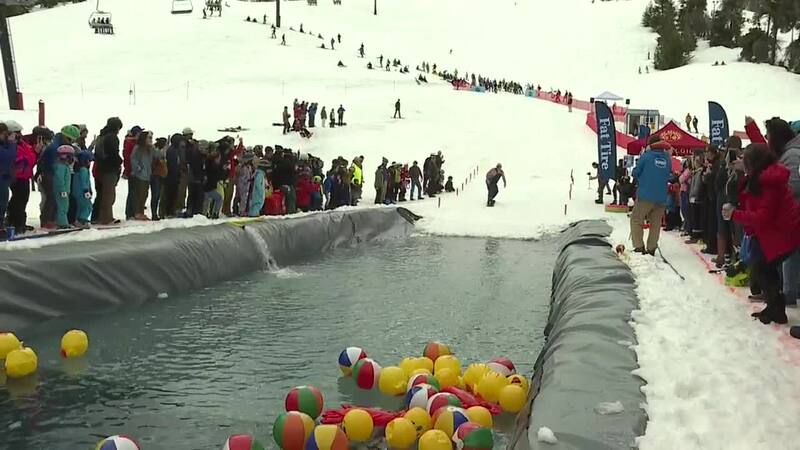 People of all ages attempted to "send it" as the pond skim made for an entertaining afternoon of shenanigans at Bogus Basin. Check out the video to see some of the best runs and some of the costumes that people wore.